In this post I am going to talk about a very powerful and relevant concept called “loss of purchasing power” that most of us have probably realised but may not have paid much attention to. We are going to look at the loss of purchasing power of currency over the last decade when buying silver bullion coins. We are going to take a look at how much real purchasing power the American Dollar has lost against real ‘Article 1 Section 10’ money (silver coins) from 2002 to 2012. As the worldwide economic crisis deepens, governments keep printing more money. This then means that the paper money that we all own is gradually losing its purchasing power as worldwide currencies get deflated. It is such a great shame that many of us are choosing to save our devaluing paper money with the banks in exchange for a tiny amount of paper money interest in return! Do you think that NOW might be a great time to start saving a little bit of your money into silver? All you need to do is decide to exchange some paper money for silver bullion coins or silver collectable coins (numismatic coins) each and every month. This is the single best way that I know in the short, medium and long term to create, collect and preserve your wealth. This is more than an opinion. It is an absolute fact if you look back at historical evidence! I am writing this post in October 2013. The spot price of silver is just under $22 per ounce. Experts seem to agree that the market signals are so strongly indicating that the price of silver has reached as low as it is going to go. On the contrary – silver is widely expected to increase in price dramatically over the next few years. Please don’t make the mistake that many people will make and look back in years to come and wish you had started to collect silver now! Ok – so you’ve seen the powerful loss of purchasing power video – now what? The answer to this question is incredibly easy. There is a unique home based business company within the precious metals industry called International Silver Network (ISN Coins for short). It is the direct sales division of the largest modern coin dealers in the United States headquartered in Sarasota, Florida. 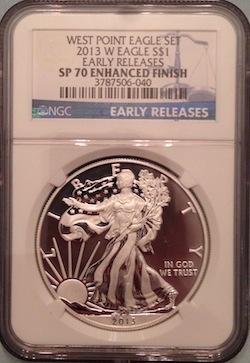 Low cost to collect silver coins on a monthly auto-ship. ISN uniquely combines the ability to own your own home based business and to be able to save in collectable and bullion coins on a monthly basis. Access to silver and gold coins and bullion at discounted and wholesale prices. ISN offer you up to 9 ways that can pay you (whilst you are collecting your monthly silver coins). Help share this fantastic opportunity with other like minded individuals. Think about this. 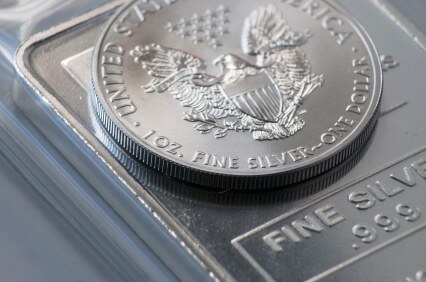 If you knew what was going to happen to the price of silver tomorrow – how much silver would you buy today? It might not be tomorrow, but it is highly likely to be soon. Remember – the pending pricing moves for gold and silver WILL be talked about for generations to come. This is your chance to be part of the biggest transfer of wealth that the world has ever seen. Help to secure your own and your families financial future today by collecting silver coins today with the International Silver Network. We are passionate about educating people about the benefits of collecting silver and gold which always has intrinsic value versus paper money which does not! We would love to hear your views on this topic, so please like, comment and share on Facebook. We hope that if you are looking to collect and create real wealth in your life and an extra income at the same time, that you would consider joining our leadership team here at ISN Coins. Please feel free to get in touch anytime. We hope you have found this post about the loss of purchasing power both interesting and valuable.